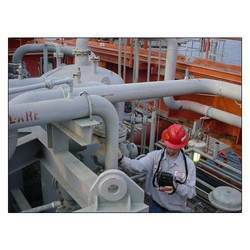 Combiantion of NDT techniques can be used for condition monitoring of Pumps. International Inspection Services (p) Ltd.
We understand the market needs and aim to maintain the best standard of quality. 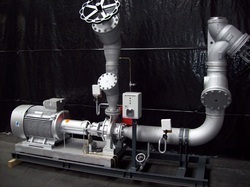 With the support of our quality exerts, we are able to provide superior Pump Visual Inspection services to various clients throughout the nation. All our services are legally authorized, reliable, prompt, impartial and are provided for several industrial requirements. We offer highly specialized Third Party Inspections for a range of products with the aid of our highly trained and skillful inspectors. With years of experience, they are fully proficient in conducting in-depth inspections of a wide range of technical as well as non-technical products on a variety of parameters. ANG undertakes stage wise inspections of various processes like, Pressure vessels, Heat Exchanger and NDT Inspection etc. made of various materials like High Alloy Steel, Low alloy steel, hastelloy etc. Our inspection & expediting services ensure quality, time compliant and trouble-free delivery of a wide range of project-related materials and critical equipment.